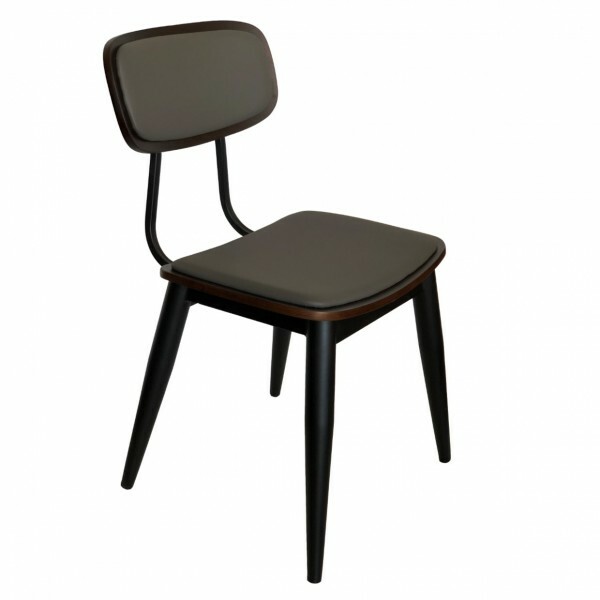 This is our new Lily Dining Chair with black powder coated steel frame and plywood veneer seat and back. For extra comfort, it also has dark grey PU cushions on the seat and back. The stylish design make them perfect for indoor use in either restaurant or café.